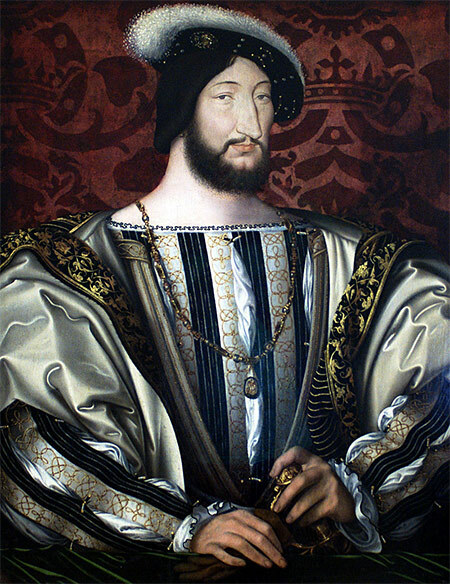 The French king and contemporary of Henry VIII died on March 31st, 1547. In life Francis I, 'Most Christian King' of a France that only sixty years before his accession had finally expelled English occupiers from the realm (and had still to tolerate Calais as an English enclave until 1559), was frequently compared to and set as a rival against, his Tudor counterpart, Henry VIII. So it was not unfitting that this symmetry was carried almost to the grave, with Francis' death coming just two months after Henry's at Greenwich. Though he had been ageing for some time, and out of sorts since the beginning of 1547, death caught Francis on the wing – not at the great palace he had constructed for himself at Fontainebleau but at Rambouillet outside Rochefort where temporary recovery had led him into another bout of the hunting and hawking that was a prime passion. Fever and a huge abscess broke out at the end of February; unable to move, Francis declined, became delirious and died early in the morning of March 31st. He was fifty-two years of age - and, according to a modern biographer Desmond Seward, 'when the doctors opened his body they found an abscess in the stomach, his kidneys shrivelled, his entrails putrefied, his throat corroded, and one of his lungs in shreds'. Like Henry VIII, Francis was not born heir presumptive to the crown; son of me nobleman Charles d'Angouleme, it was as a Prince of the Blood that Francis succeeded his cousin, Louis XII in 1515. Perhaps like Henry, a desire to counter this by following Machiavelli's maxim, 'a prince must show himself', led Francis to exaggerate his natural flamboyance. Certainly he played the part of a Renaissance monarch to perfection, with a huge peripatetic court whose members aped the refined manners of Italian princes. Francis was a man of genuine culture and learning whose passions included rhetoric, classical history, paintings and the decorated arts. Among those whom he brought to court were the Florentine goldsmith Benvenuto Cellini, while his sister Marguerite d'Angouleme was herself extensively read and contributed much to the increasing prominence of women at the French court. Apart from the transient shows of cultural magnificence that Francis initiated – such as the extravagance of the Field of the Cloth of Gold at which he attempted to bind Henry VIII into an alliance against the Emperor Charles V in June 1520 – he left permanent monuments in stone, chateaux in the Loire Valley at Blois, Chambord and Amboise and his great palace south of Paris at Fontainebleau, which became a showcase for his artistic patronage. In all of this Francis encouraged the latest Renaissance fashions and attitudes – like many of the Italian princes he was flattered by comparisons of his kingship with the deeds of the heroes of Greece and Rome and his encouragement of the acquisition of classical manuscripts added to the collection of all new printed books that was eventually to form the score of the Bibliotheque Nationale. But there were many respects in which Francis' kingship looked back to the Gothic world of the Middle Ages, his love of all the chivalric trimmings, leading his own troops in battle (with disastrous consequences at the battle of Pavia in 1525 where he was captured by the troops of Charles V) and the traditional pageants and mobile courts that were emblems of the feudal world. Francis' own coronation ceremony in Rheims Cathedral in January 1515 took place with the anointing of him as priest-king with the oil of Clovis, girt with the sword of Charlemagne. Despite his subsequent flirting with evangelical humanism and the foreign policy realpolitik that saw him prepared to make alliance with heretic Lutheran German princes and (covertly) even with the infidel Turk in order to pursue his duel with the Habsburg Charles V, this sense of Catholicity never quite left Francis and pulled him short of acts of schism or apostasy from Rome. Away from the cultural glories of Francis' reign, his political and dynastic achievements were far more uneven. As one sprung himself from the nobility, he perhaps had more of a rapport with the French aristocracy than some of his more aloof predecessors or successors, and with the exception of the treason of the Duc de Bourbon – who fought alongside Charles V's troops against his king at Pavia – Francis faced no major noble insurrection or plot during his reign. Yet his dominance was always set on flimsier foundations than sometimes appeared: he was perpetually short of money and much of what he raised, not least through expanding the sale of offices and patents of nobility, was dissipated in his quarter-century struggle for dominance against Charles V.
In this enterprise he was arguably at his least successful. He inherited the French aspirations and claims in Italy to Milan and Naples that had been at the heart of the Italian Wars that had brought France into conflict with Charles' Habsburg domains. Francis' attempt to upset the traditional succession to the Holy Roman Empire by bribing the electors in 1519 had failed and only incurred the enmity of the successful candidate Charles. His defeat and capture by Charles' forces at Pavia could have been disastrous in leaving France rudderless; his thirteen-month imprisonment in Madrid and subsequent reverses in the 1520s forced him into handing Charles a ransom of four-and-a-half tons of gold and abandoning all his claims in Italy. 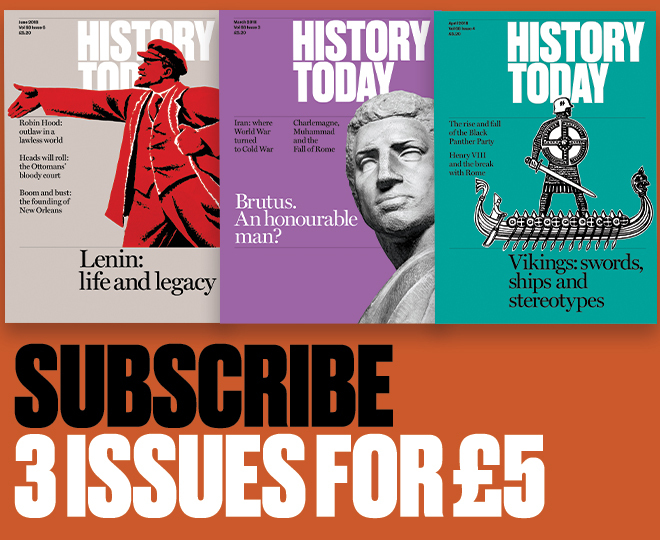 Though he brushed off Henry VIII's own attempts to win victories in France as an ally of Charles V without too much difficulty, by the time of his death he had done little to dint Habsburg dominance. At home the increasing influence and impact of Protestantism led to tensions between the Most Christian King and some of the leading noble patrons of evangelical learning (including his own sister Marguerite). The Affair of the Placards – a protest movement calling for the abolition of the mass which found one of the offending documents pinned to the door of the king's own bedroom – was a reminder to Francis of how despite the crown's traditional dominance over the Catholic church in France, reform remained a destabilising element. The key dynamic in the second generation of the Reformation was, indeed, a Frenchman, John Calvin, who in 1533 left France to establish a godly state in Geneva. It was Calvinism that was to win the hearts and minds of a significant minority in France – a challenge to the status quo that set me stage for the Wars of Religion from 1560 onwards. This though was a world beyond Francis I, lying in state through magnificent funeral ceremonies that lasted seven weeks and ending in his interment at Saint-Denis. His tomb was erected by his less flamboyant son and successor, Henri II; his love, like his father's, of chivalry was to bring him death in a tournament accident only twelve years later, leaving royal minorities that were to be a prelude to civil war.